Last month was Christmas and like a lot of people, I like making gifts for people. 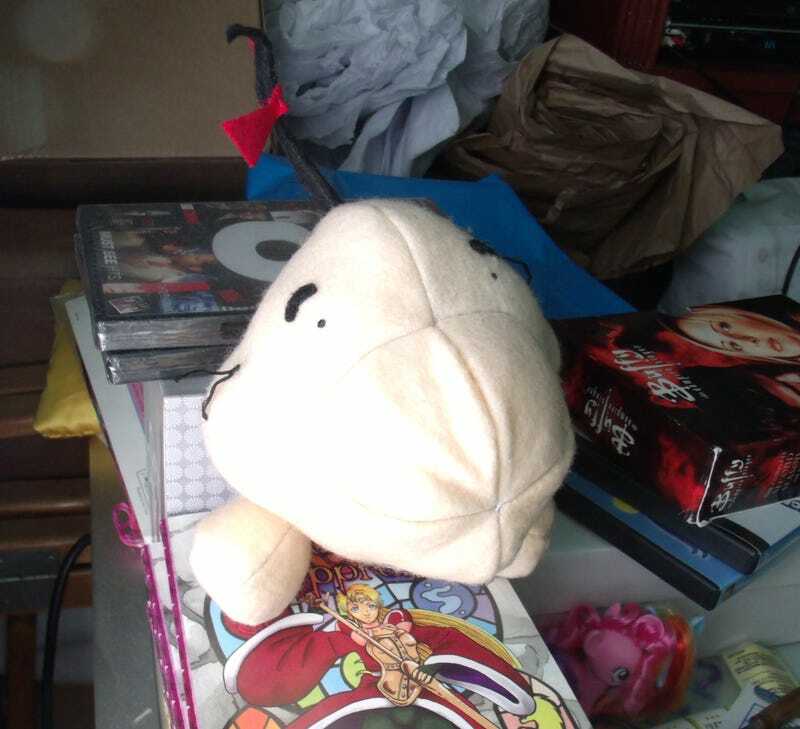 For my best friend Billy I made a very NSFW pillowcase as a sort of inside joke between us, and for my Secret Santa I got Nach, and made him a Mr. Saturn Plush. Considering how busy I was with the second volume of my Graphic Novel, I'm surprised that managed to eke out some time to actually work and finish it. I was originally going to just buy him a plush but I have really high standards for plushies and most of the ones I found were utter crap. I wasn't the only one who did a homemade gift for Secret Santa. I got wonderful pins and an ornament from DamsonRhee and AstroKid made a special gift for her secret santa. But with the old year over and the new one starting I have a whole lot of things I have a whole lot of projects I have planned. Finishing up a bunch of dolls and custom Ponies, and I think I might even start cosplaying this year. One of my New Year's Resolutions is to get at least 5 non-comic related projects done this year. What about you guys? Talk about your upcoming plans and projects in the comments and if you have a project that you showcase in a separate thread, don't forget to tag it 'Craf-TAY Corner' and contact The Geek Empress via her Con-TAY-ct Page.